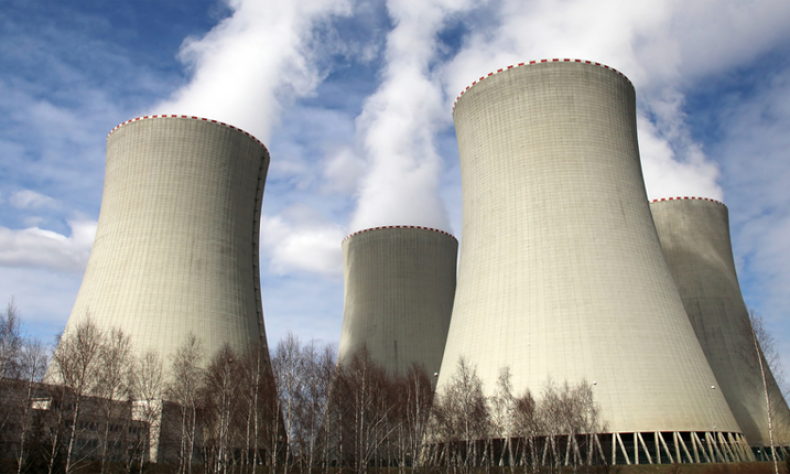 China Focus | Safety Concerns: Should China Build More Inland Nuclear Stations? Safety Concerns: Should China Build More Inland Nuclear Stations? The Chinese Academy of Engineering and China’s National Energy Administration has finished a research report about the environmental security of inland nuclear power plants, and submitted to the State Council, an energy expert told China Times on September 24. If it is approved, China is likely to set up more nuclear power stations in inland areas over the course of the next five years. Establishing more nuclear plants on Chinese soil remains a controversial question. Although most nuclear field experts have agreed that advanced technology could guarantee 100% safety, the public remains concerned. Does China really need nuclear power in its inland? What if accidents happen? As China’s economic development continues, and the nation also sets the goal of developing to the similar standard of moderately developed countries in 2049, the country greatly needs to expand its power-generating capacity. Coal-fired power plants do not work, as there is a shortage of coal and oil gas, whilst renewable resources like biogas also do not appear capable of meeting such an enormous demand. To have more nuclear power stations in the inland seems to be China’s last choice. How many inland nuclear stations does China need? Take France as an example, its landscape is almost the same size as China’s inland Sichuan province. France has very intense usage of nuclear energy, with 19 nuclear power stations and 58 nuclear reactors giving a supply of 75% of the whole country’s power. However, nuclear power only accounts for 2% in China’s total power generation – the lowest among world’s major industrialized countries. Given that China’s nuclear power usage is lagging behind, some Chinese experts expect the figure to rise to 10%. Nuclear power is clean energy, which does not contribute to air pollution. However, the critical challenge is ensuring safety. Everyone that knows a small error could result in a big disaster. Theoretically-speaking, one could argue that there is no 100% safety in energy usage. However, in regards to nuclear power, safety needs to be guaranteed. In the past four years since Japan’s Fukushima nuclear disaster, lessons have been learned. Countries like Germany, Italy and Switzerland have announced plans to abandon nuclear projects after the Fukushima catastrophe. Inland nuclear power projects also stalled in China over safety concerns. The rapid economic growth of inland provinces means the area will need more power, and China should develop inland nuclear power projects to meet rising total and per capita energy demands, according to a research report from the Chinese Academy of Engineering. As such, instead of debating whether to have more inland nuclear power stations or not, we need to focus on two more important issues: the first is, locations selection – is it safe to build nuclear power plants with minimal impact over the environment? The other is to address people’s concerns. People are calling the release of radiation from the Fukushima nuclear power station in Japan a “catastrophe”. Nuclear energy has made people particularly fearful, just as airplanes and trains are an amazingly safe way to travel but people still worry far more about plane crashes than car crashes. Will people be happy to live next to nuclear power stations? Maybe, if the plants aren’t big ugly things. Political decisions shall be made on the basis of how people feel, and not just respond to massive power demand.